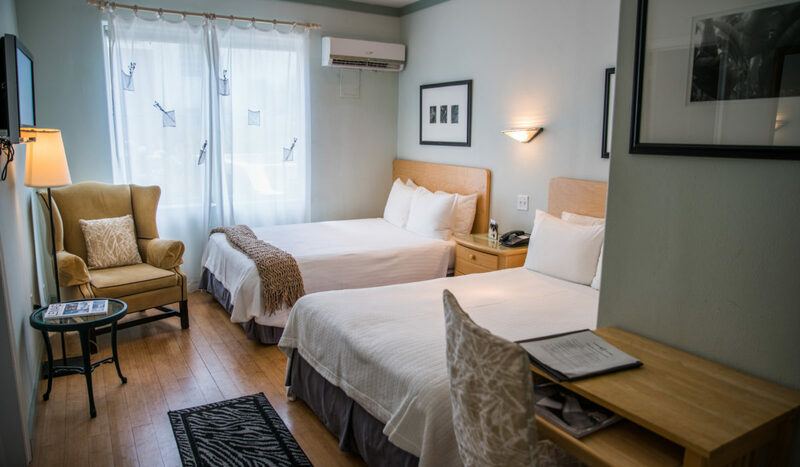 The rooms and suites at the Cadet Hotel are designed to immerse guests in a graceful elegance that is soothing and comfortable. From snuggle-worthy Egyptian cotton linens to exquisite vintage furniture and from luxurious bathing amenities to perfectly lit atmospheres, each element is an ingredient in a delicate feast for all the senses. Every one of our 31 rooms, 2 junior suites, and 1 master suite are relaxing and elegant, meeting and exceeding the expectations of even the most demanding hospitality critics. The jewel in our crown is the Master Suite. 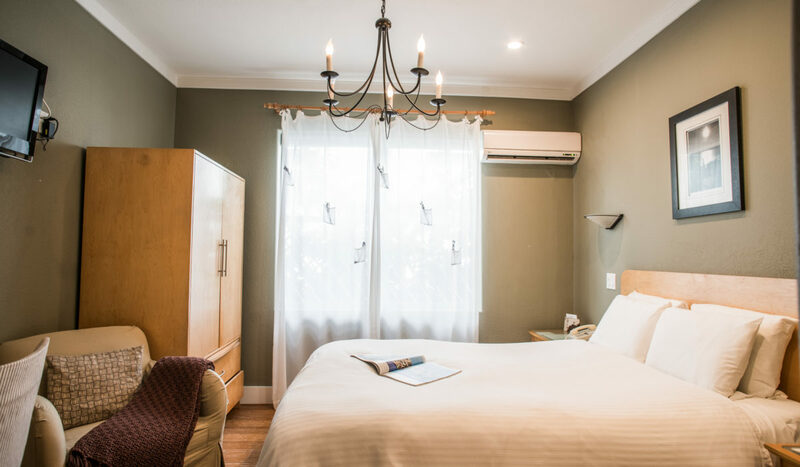 More than just a room, it is our most sought after accommodation and is a central part of Cadet Hotel. Our Junior Suite King has extra space, perfect for longer stays. We have spared no expense in furnishing the room with black lacquer furniture and other luxury details. For those who prefer a larger room, we recommend one of our Superior King rooms which face the garden area. Our king sized beds are comfy and you will be delighted with the charming decoration. All King Bed rooms come with a king-size bed and are designed as individuals, each one as unique as the guests that stay in them. 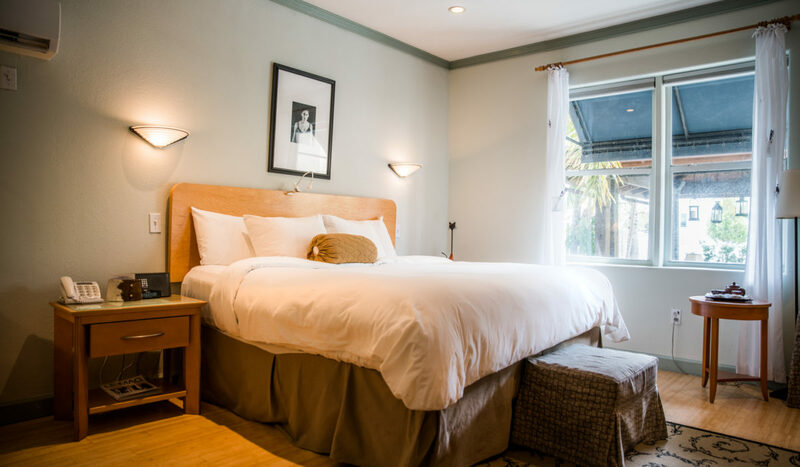 Our king sized beds are comfy, high off the ground and set with soft Egyptian cotton sheets and down comforters. Relaxing, soft neutral colors in the room stimulate a peaceful state of mind. 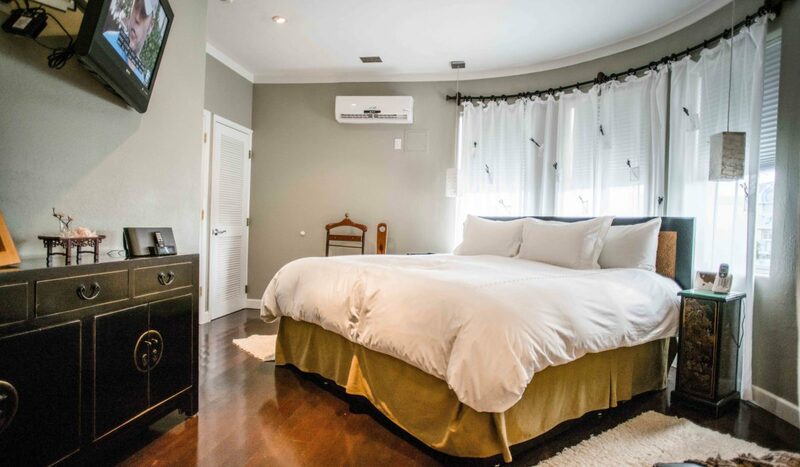 These hotel rooms are equipped with a queen sized bed large enough to share or simply spread your limbs. 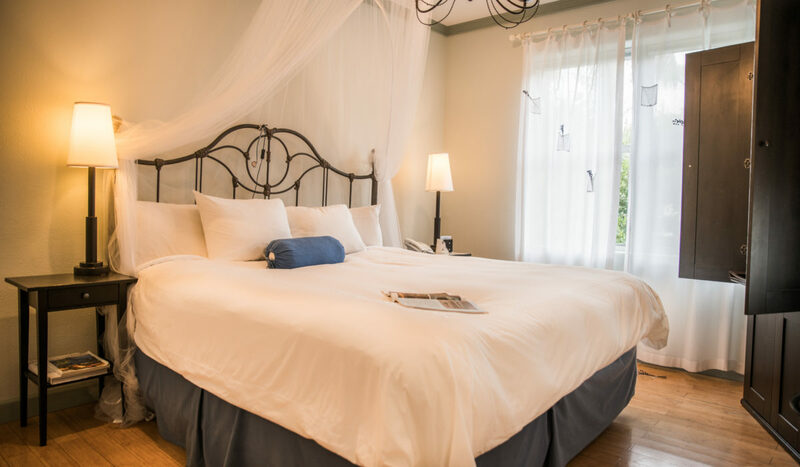 Experience true cleanliness in our bright, cheerful bathrooms and sleep soundly in our immaculate linens and comforters. 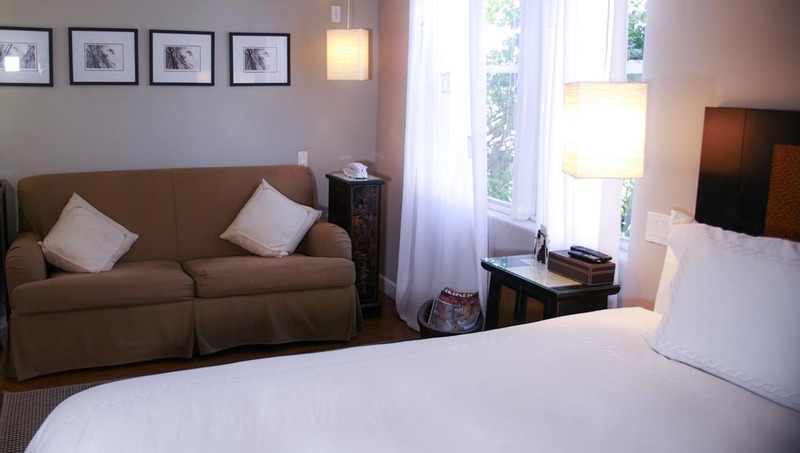 This hotel room is a family favorite, it features two full beds to provide maximum comfort for up to four people. The Double Full Room has unique decor that sets a relaxing environment. Our two disabled-friendly rooms are designed and equipped to accommodate guests with reduced mobility. 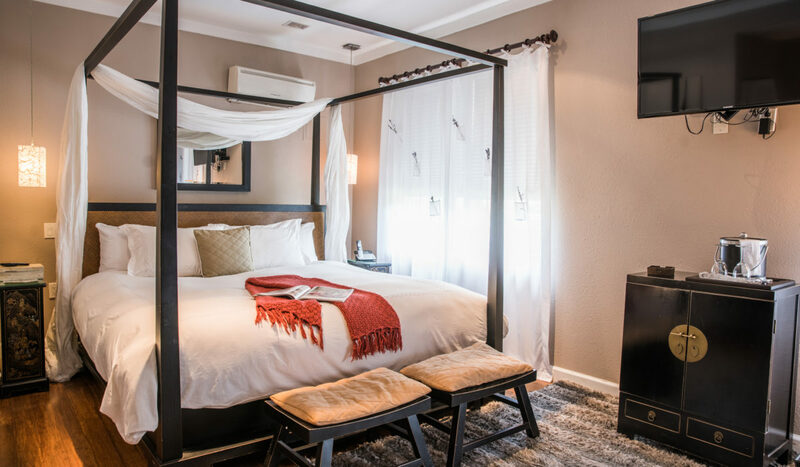 Just like the rest of the hotel, the rooms have an authentic décor, containing everything you need for a perfect weekend or vacation stay.